I grew up in a town geographically isolated from many food trends and dietary necessities. When I decided to go vegetarian at age 12, there were few options for me beyond frozen peas, a stray tub of tofu, and rice milk. So, yes. 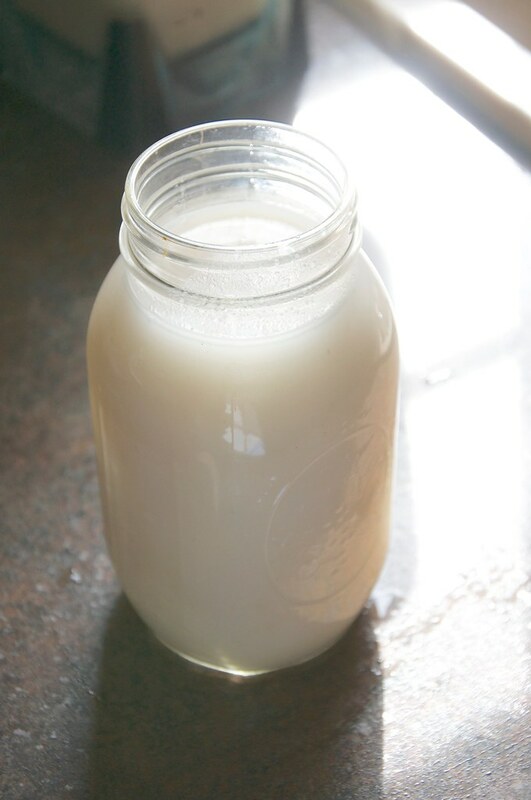 Before I started sipping Homemade Almond Milk or soy milk or other substitutes at all, I drank my share of sweet, shelf-stable rice milk. Have you ever noticed how rice milk -- Rice Dream, for example -- as oil has an added ingredient? In fact, the mention is kind of weird, as it lists "Safflower Oil and/or Sunflower Oil and/or Canola Oil” -- I mean, which is it? I guess they add it for mouthfeel -- texture. And otherwise, the ingredients in rice milk aren’t anything to be wary of. Still, I like homemade best for price point and full control of ingredients. So, I started making my own. Once you get the hang, feel free to double the recipe. Pssst: You don’t need to cook rice specifically for this recipe. Leftover Coconut Rice (minus all the extras) would be interesting! I’d just say make sure the rice isn’t old (signs of spoilage, mold, etc.) before blending. If you’re using rice that’s already cooked, make sure it’s cool then combine with the water and let sit for an hour to let the flavors mingle. 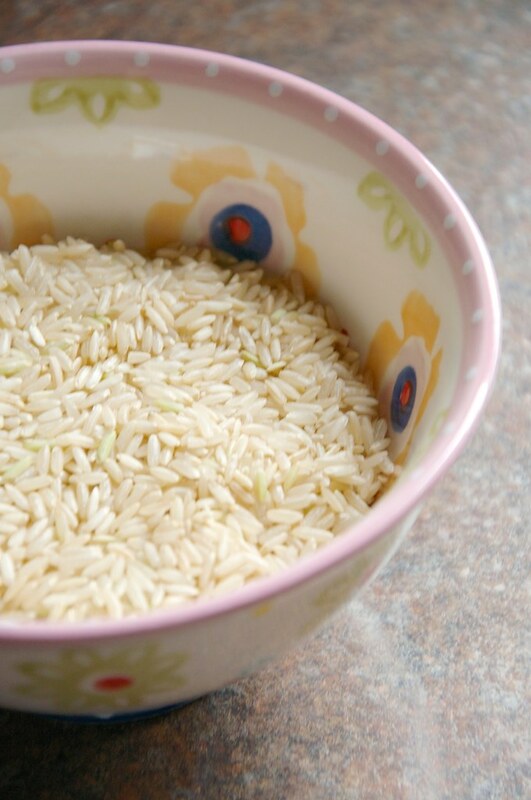 If you’re making your rice fresh, you’ll want to remove it from heat and pour in the 4 cups of water (5 if you want a thinner milk) and let cool and sit for an hour or two. Do not skip this step -- otherwise, your milk will turn out quite goopy. 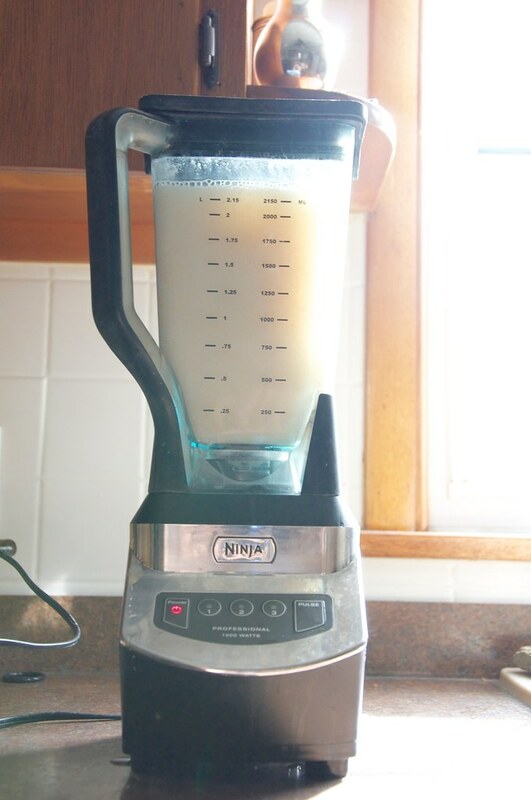 Either way: Place the rice + water mixture in a VitaMix or Ninja Blender -- and pulse. At this point, you can add in any extras like a splash of vanilla extract, maple syrup, and even cinnamon. I’ve even read of people pulsing in pitted dates for natural sweetness. 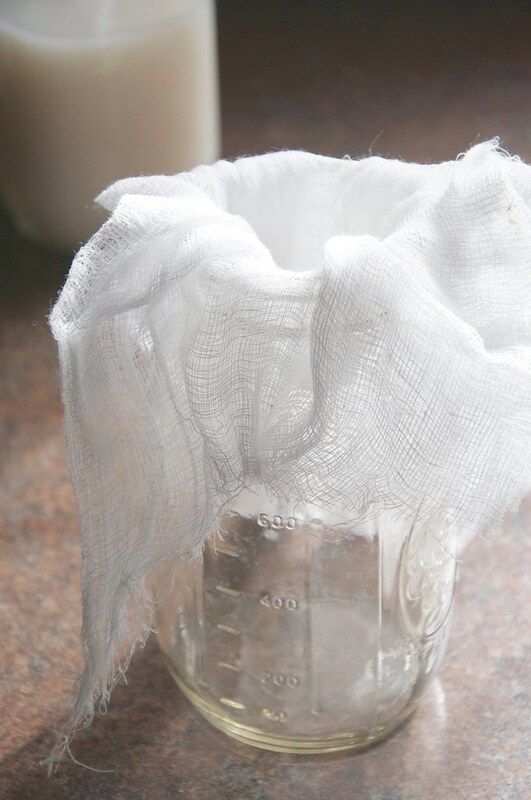 Blend for around 3-5 minutes and then strain into Ball jars or another container using cheesecloth or a sieve. Just FYI: My French Press Almond Milk trick DOES NOT work as well for the semi-solids in this rice milk recipe. Stephen likes this rice milk alone or on cereal -- no sweeteners or spices added. I actually prefer using this milk in baking and save Homemade Almond Milk for drinking, etc. Whatever you do, this milk is suitable for most sensitive tummies. 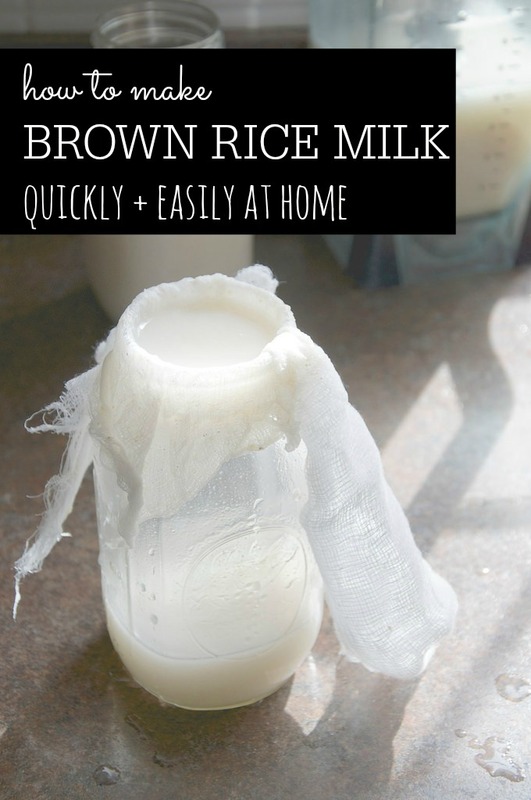 You can also make RAW Rice Milk. I just haven’t tried it yet. I use the leftover rice bits in my veggie burgers, which I hope to share with you soon. 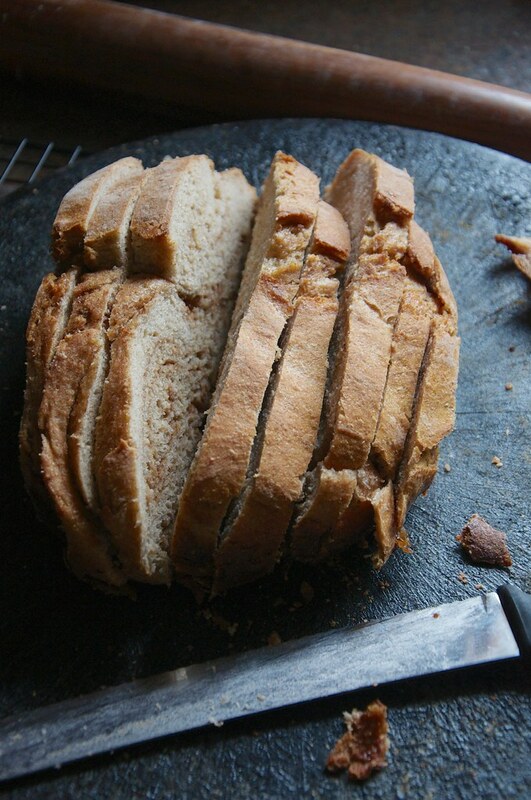 And tomorrow I’ll be back with my recipe for this delicious “buttermilk” cinnamon swirl bread made using this homemade brown rice milk! It turned out beautifully . . . and I have a huge stash of it in my freezer. Well, a dwindling stash, I should say. Oh, and if you want to see my diary from 1998, click over to Writing Chapter Three today!